Massachusetts is more than Harvard and MIT. The state offers 114 colleges and universities. Home to some of the nation's top educational institutions, Massachusetts has much to offer potential students. School choices include everything from research universities to special focus institutions, varying in enrollment size from over 32,000 to 18. Choosing the best school to meet your needs involves weighing each program offering, tuition costs, financial aid, and cost of living. To assist in this decision-making process, we have applied our rigorous methodology to the latest education data to rank the best colleges in Massachusetts, including the top four-year and two-year schools. Our database takes into consideration key characteristics to include only the best institutions. This algorithm includes acceptance, retention, graduation, and enrollment rates. Ever-increasing for today's students is the concern of post-graduation debt. For this reason, we have also included the metric of student loan default percentages. The list below features the top two-year and four-year colleges in Massachusetts. Home to such renowned institutions as Harvard and Boston Universities, Massachusetts has long been a leader in four-year education. The Massachusetts postsecondary education system awards more bachelor's degrees than the U.S. state average. Its public higher education system also offers Commonwealth Honors Programs, a network of honors programs integrated throughout its public higher education system. It is the only state that boasts such a system. Despite this honorable reputation, Massachusetts school prices are not at the top end of the spectrum. Cost for postsecondary education is less than the U.S. average. It also pays off. Those earning a bachelor's degree in Massachusetts experience higher earnings increases over those with high school diplomas than the national average. To help you decide which school offers the best of these Massachusetts advantages for you, we have compiled the following list of the top four-year schools of the state. Harvard, one of the best colleges in Massachusetts, has a history of academic and social prestige. It's one of the most respected and recognized institutions of higher learning in the entire world. The school's Cambridge campus is home to some of the most prestigious academic programs in existence, offering more than 45 unique concentrations for undergraduate study. Students earning a bachelor's degree at Harvard can major in everything from Electrical Engineering and Astrophysics to Gender Studies. The college offers specialized concentration options that allow students to design their own course of study. Faculty at Harvard are leaders in their fields, and students can expect to learn from Pulitzer Prize winners, Nobel laureates, and academic celebrities, from historian Henry Louis Gates Jr., to linguist Steven Pinker. Harvard's alumni are equally elite, comprising world leaders and cultural figures that range from U.S. presidents, actors, athletes, and more than 350 Rhodes scholars. Williams is a respected liberal arts college with a student body of around 2,200. The school has ranked as the top liberal arts school in U.S. News & World Report's national rankings for more than a decade and Forbes has ranked the school as the best undergraduate experience for multiple years throughout the 2010s. Parts of Williams' curriculum are based on the education models of Oxford and Cambridge. Williams offers several undergraduate areas of study, and students are encouraged to explore a range of academic interests, with options for both independent and interdisciplinary study. Popular majors at the college include Economics, History, and Psychology; nearly half of all students graduate as double majors. There are no required courses at Williams, but students must take three courses each in arts and humanities, social sciences, math, and science, along with two writing-intensive courses. The school's student-faculty ratio is 7:1, by far one of the lowest ratios among Massachusetts colleges. MIT, located in Cambridge, ranks among the top institutions in the world for its math, science, and engineering programs. Founded in 1861, the school is America's preeminent polytechnic university, stressing laboratory instruction that has students learn through doing. Undergraduates at MIT can choose from 46 undergraduate majors, ranging from technical degrees like Aerospace Engineering to humanities programs like Philosophy and Writing. Students can select from nearly 50 specialized minors to complement their degree, including programs in Toxicology, Urban Studies, and Atmospheric Chemistry. Universally recognized as one of most prestigious Massachusetts colleges, MIT's students, alumni, and faculty are responsible for some of the major scientific and technological breakthroughs of the past 150 years, from personal computing to particle physics. The school also encourages a strong entrepreneurial spirit, MIT grads have gone on to found or co-found companies including Intel, Texas Instruments, and Dropbox. Famous alumni includes Salman Khan, Kofi Annan, and Janet Hsieh. Amherst, exclusively an undergraduate institution, serves around 1,800 students and offers 38 majors in the areas of arts, humanities, sciences, and social sciences. Programs include computer science, geology, and film & media studies. Students at Amherst can create their own interdisciplinary majors by combining existing disciplines at the college. Amherst consistently ranks as one of the top liberal arts college in the country, and the school's alumni include prominent politicians, intellectuals, and artists, from former U.S. President Calvin Coolidge to novelist David Foster Wallace. The school is a member of the Five Colleges Consortium, a collection of Massachusetts colleges that share resource and allow students to attend classes at all five institutions. Amherst's 1000-acre campus in the Massachusetts Pioneer Valley includes a 500-acre Wildlife Sanctuary accessible to students. With both maintained and unmanaged land, the Sanctuary offers opportunities for both recreation and hands-on academic research. Wellesley, a private women's college with a student body of around 2,500, ranks as one of the best colleges in Massachusetts and one of the top liberal arts schools in the country. Wellesley offers an extensive network for female professionals, and the school's alumni include powerful political and media figures such as Hillary Clinton, Madeleine Albright, and Diane Sawyer. Undergraduate students can choose from more than 56 standard and intradepartmental majors, in areas including classics, neuroscience, and Jewish studies. Wellesley's small enrollment leads to a personalized educational experience, with a student-faculty ratio of just 7:1 and an average class size of between 17 and 20 students. The school encourages experiential learning, and 70% of Wellesley students complete an internship while enrolled. Wellesley allows students to enroll in classes at neighboring institutions MIT, Brandeis University, Babson College, and Olin College. Founded in 1852, Tufts operated as a small liberal arts college for over a century before eventually transforming into a research university that now serves more than 11,000 students. Consistently rated as one of the best colleges in Massachusetts, Tufts falls behind only Harvard and MIT in U.S. News & World Report's state rankings. Students at Tufts can choose from many bachelor's degree programs, and the school offers two five-year combined degrees, allowing students to earn either a bachelor of fine arts or a bachelor of music in addition to a standard BA or BS. The school is noted for its prominent focus on internationalism; Tufts students can choose from a range of study abroad programs all over the world. In addition to its three campus locations in Massachusetts, Tufts also operates The Tufts University European Center in Talloires, France, which serves as both a study abroad facility and an international meeting site for academic conferences and seminars. BC, a private Jesuit university about six miles from downtown Boston, serves over 14,000 students through nine schools and colleges. Founded in 1863 as a liberal arts college and preparatory school, BC has since evolved into a major research university with one of the largest endowments in the country. 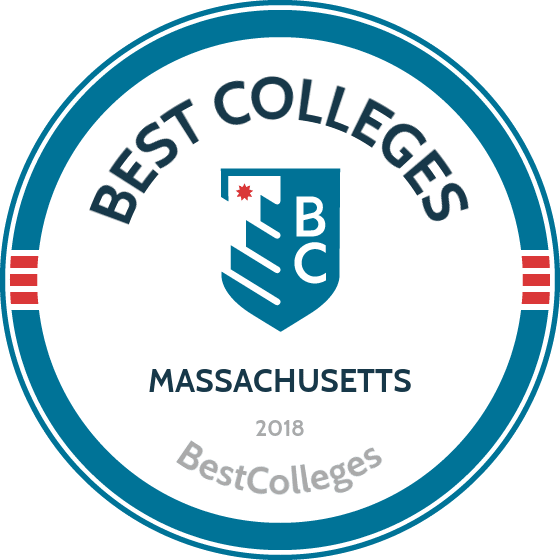 In addition to ranking as one of the best colleges in Massachusetts, BC is nationally recognized, with U.S. News & World Report ranking it 30th among national universities. The school offers more than 50 bachelor's programs, ranging from conventional degrees like history and English to more unique choices, including Slavic studies, corporate reporting, and environmental geosciences. One of BC's nicknames is "The Heights," a reference to both its elevated campus location and the lofty aspirations of its graduates. Some of the school's notable alumni include comedian and television star Amy Poehler, pioneering sportscaster Lesley Visser, and former U.S. Secretary of State John Kerry. Established in 1843 as a Jesuit boys school, Holy Cross is the oldest Catholic college in the state and one of the oldest in the entire country. The school ranks highly among liberal arts colleges in Massachusetts, and U.S. News & World Report has praised Holy Cross as one of the top 25 liberal arts schools in the nation. Offering education in the arts, humanities, sciences, and social sciences, Holy Cross allows students to choose from more than 30 bachelor's degrees. Programs include Asian studies, studio art, and world literature. The school also allows students to create their own interdisciplinary majors and minors, which addresses issues from multiple perspectives consistent with a liberal arts curriculum. Students at Holy Cross have ample opportunity to complete internships in the greater Boston area, combining hands-on experience with academic study. The school's internships are typically paired with campus seminar courses that focus on relevant academic issues. Babson, a private business college that emphasizes entrepreneurship, is one of the most respected business schools in the country and a top Massachusetts college. U.S. News & World Report has ranked Babson as the top entrepreneurship school in the nation for almost thirty years, and the school wins high marks from The Economist for the earnings expectations of its graduates. All undergraduates at Babson earn a business degree focused on entrepreneurship, but the school offers more than two dozen optional concentrations that allow students to personalize their studies. Students can choose up to two concentrations, with options ranging from economics and marketing to literary and visual studies. Babson graduates are leaders in business and finance, and the school counts multiple billionaires among its alumni. Notable Babson graduates include Gerber Baby Foods founder Daniel Gerber, Home Depot co-founder Arthur M. Blank, and Toyota Motor Corporation president Akio Toyoda. Mount Holyoke, founded in 1837, is one of the oldest women's colleges in the country and the oldest member of the Seven Sisters (an association of seven prestigious women's liberal arts schools in New England). Serving around 2,000 students from 45 U.S. states and other countries, Mount Holyoke's small size leads to a student-faculty ratio of just 10:1, with most classes comprising 20 or fewer students. U.S. News & World Report ranks the school 35th in the nation among all liberal arts colleges, and the school has ranked as one of the country's top producers of Fulbright scholars. As one of the top Massachusetts colleges, Mount Holyoke boasts many famous alumni, including poet Emily Dickinson and Pulitzer Prize-winning playwright Wendy Wasserman. Undergraduates at Mount Holyoke choose from 51 bachelor's degree programs, including departmental and interdepartmental majors. 29% of the school's degree programs are interdisciplinary, and students have the option to design their own unique major. Brandeis, a private research university focused on the liberal arts, is the only nonsectarian Jewish college in the United States. The school, named after Louis Brandeis, the first Jewish Supreme Court Justice, ranks as one of the top colleges in Massachusetts. The school has been ranked among the top 35 national universities by U.S. News & World Report since the publication has released college ratings. Brandeis is internationally respected, and around a quarter of its students are from outside the U.S. Serving around 5,500 students, the school offers more than 40 undergraduate degrees, including unique programs in creative writing, European cultural studies, and Hispanic studies. Brandeis' smaller size allows for a student-faculty ratio of just 10:1, and most undergraduate classes boast 20 or fewer students. The school's intimate educational setting has produced a long list of prominent alumni, including Nobel laureate Roderick MacKinnon, novelist Kathy Acker, and former Icelandic Prime Minister Geir Haarde. BU, the largest college in Boston, serves a student body of more than 33,000, with a main campus located along the Charles River. The school is one of the largest employers in the Boston area, and BU counts several Nobel laureates, Pulitzer Prize winners, and MacArthur Fellowship recipients among its faculty and alumni. U.S. News & World Report ranks the school 39th in the nation. With well over 100 undergraduate programs, students at BU can choose from a range of degrees, including unique majors in acting, deaf studies, English education, and musicology. For students interested in study abroad programs, BU maintains international campuses in London, Paris, and Sydney, including satellite U.S. campuses in Los Angeles and Washington, D.C. Some of the college's many notable alumni include folk singer Joan Baez and Civil Rights leader Martin Luther King Jr. Located about nine miles from Boston in the city of Waltham, Bentley is a nationally recognized institution that also rates as one of the best business colleges in the Massachusetts. The school offers 24 majors and 35 minors for undergraduates, encompassing business and the arts and sciences. Students can choose from business degrees such as marketing or corporate finance, or humanities programs in English, philosophy, and liberal arts. Many students pursue Bentley's unique double major in business and liberal studies, a four-year program that combines business studies with ethics, global perspectives, and social responsibility. In accordance with its professional focus, Bentley emphasizes hands-on work experience, and 93% of students complete internships during their time at the school (71% of students complete more than one internship). Bentley graduates find success quickly, with 95% of students either finding employment or enrolling in grad school within six months of graduation. One of the largest and most respected women's colleges in the nation, Smith is an independent liberal arts school with a student body of around 2,800. U.S. News & World Report ranks Smith 12th nationally among liberal arts colleges, and the school consistently places among the top colleges in in Massachusetts. Smith offers bachelor's degrees in over 50 areas of study, and students can also further personalize their degree with concentrations in Translation Studies, Women's Education, and Community Engagement. The college stresses international study, and about half of all juniors engage in study abroad programs in Europe, Asia, Africa, and Latin America. Smith graduates are both professionally and academically prepared, with nearly 70% entering the workforce and around 25% heading straight to graduate school. Some of the college's many esteemed alumni include chef and television personality Julia Child, journalist Gloria Steinem, and writer Sylvia Plath. With an annual enrollment of more than 17,000 students, UMass-Lowell is the second-largest public university in the state. U.S. News & World Report ranks the school second among all public colleges in Massachusetts and 78th in the nation among public universities. The school is one of only six to have advanced in the publication's rankings every year since 2010. With more than 100 undergraduate majors, students can choose from a range of unique degrees, including atmospheric science, peace & conflict studies, creative writing, and sound recording technology. The college is focused on the intersection between academic learning and practical experience, preparing students for career success. Graduates from UMass-Lowell earn higher mid-career salaries than alumni from any other public college in the region. The school has an 18:1 student to faculty ratio. Famous alumni includes University of Massachusetts President Marty Meehan, former United States National Security Staff Member Roger Cressey, and professional hockey player Ron Hainsey. Northeastern, a major private research university in Boston, is focused on cooperative education, combining classroom education with hands-on work experience, and training. Students at NU engage in experiential learning through research, service, and professional work, allowing them to build bridges between their education and career paths. With more than 90 undergraduate majors, students at NU can choose from degrees in the arts, sciences, business, engineering, health sciences, and more. The college offers several options for combined majors that incorporate interdisciplinary study. The school is known for its expansive study abroad programs, offering work and learning opportunities in more than 130 countries around the world. More than 3,000 students participate in study abroad programs at Northeastern each year. NU ranks as one of the best colleges in Massachusetts, and the school's alumni include media personalities, politicians and entrepreneurs, from talk show host Wendy Williams to Twitter co-founder Biz Stone. Clark, founded in 1887, is a small, private university with an annual enrollment of around 3,300. The college offers an education rooted in the liberal arts, with 46 undergraduate degrees available in the arts, humanities, engineering, natural sciences, and social sciences. The college is part of the Higher Education Consortium of Central Massachusetts, which allows students to attend courses at other participating schools, including Becker College, the College of the Holy Cross, and Worcester Polytechnic Institute. A proponent of progressive education, Clark has pioneered an educational model known as Liberal Education & Effective Practice (LEEP). The program combines a core liberal arts curriculum with opportunities to situate knowledge in a real-world context. The LEEP experience includes guidance and mentoring, work experience, and extracurricular and co-curricular activities. Clark's focus on immersive, practical education equates to a range of internship and study abroad opportunities for students. Simmons was founded in 1899 to empower female students through a liberal arts education, and the college maintains that mission to this day, enrolling an undergraduate body of around 1,700 female students. Simmons, a private school offering professional programs and a comprehensive liberal arts curriculum, is ranked as one of the best colleges in Massachusetts by Forbes, U.S News & World Report, and The Princeton Review. Kiplinger's rates Simmons as one of the best values among private schools in the country. The school's Boston campus is at the center of the city's thriving arts scene, located within walking distance of both the Gardner Museum and the Museum of Fine Arts. Students can choose from undergraduate majors and unique minors such as entrepreneurship, radio broadcasting, social justice, and sustainability. With an emphasis on academics and career preparation, Simmons has produced several notable alumni, including journalist and newscaster Gwen Ifill, jazz singer Nnenna Freelon, and novelist Elinor Lipman. Emerson, located in Boston, proclaims itself "the nation's premier institution in higher education devoted to communication and the arts in a liberal arts context." The school is one of top art colleges in Massachusetts and offers 24 undergraduate majors, winning international recognition for its programs in communications, media, theater arts, writing and publishing. Students can design their own interdisciplinary majors that combine multiple area of study. Global engagement is one of Emerson's core values, and the college offers a range of domestic international study programs in Los Angeles, The District of Columbia, China, Spain, and The Netherlands. The school's proximity to Boston's Theater District provides ample opportunities for students to engage in local culture, and Emerson is an active proponent of historical preservation in the city. Emerson has produced many notable alumni, including talk show host Jay Leno, avant-garde composer Glenn Branca, comedian Bill Burr, and writer Laura van den Berg. WSU, a public liberal arts and science college in northwest Worcester, ranks as one of the top value college in Massachusetts. The Princeton Review has ranked the college as one of the best in the Northeast every year since 2005. Originally founded as a teacher training school in 1874, WSU has grown into a comprehensive liberal arts university, with courses encompassing humanities, health professions, social sciences, and more. With over 60 majors and minors, student can pursue degrees ranging from Elementary Education and Geography to occupational studies and public health. Emphasizing community-centered education, WSU offers a range of opportunities for service learning, allowing students to gain credit through work at local community building organizations. Service learning at WSU can extend to internships, teaching practicums, health care clinicals, and study away programs, both abroad and around the country. The school offers tutoring services, a math and writing center, and more. Founded in 1840 in Bridgewater, Massachusetts, Bridgewater State University is one of the top schools in Massachusetts. When it was founded, it consisted of one room in a town hall basement. Now, the campus covers 278 acres with 39 buildings. The university boasts more than 50,000 alumni and is the 10th largest four-year college in the state of Massachusetts. Students can participate in more than 95 student clubs and organizations. Undergraduate applicants are required to complete high school prerequisites, provide transcripts, ACT or SAT scores, and complete an admissions application. All full-time freshmen need a notebook computer. The university hosts a wide variety of undergraduate majors, minors, and concentrations including communication studies, elementary education, health studies, women's and gender studies, and writing. The university offers affordable tuition and a variety of scholarships and other financial aid opportunities such as student loans, work-study programs, and grants. Stonehill, a Roman Catholic liberal arts college, is a 375-acre campus in Easton, about 22 miles south of Boston. The school was founded in 1948 by the Congregation of Holy Cross, and Stonehill maintains relationships with many Holy Cross colleges, including the University of Notre Dame. Committed to the moral, social, spiritual, and intellectual development of students, the school operates in the Catholic intellectual tradition of free inquiry and breadth of knowledge. Stonehill is highly respected, winning praise from The Princeton Review and U.S. News & World Report as one of the best colleges in the region. The school is dedicated exclusively to undergraduate education, offering 39 majors and 49 minors in areas including business, arts and humanities, social sciences, physical sciences, and education. Stonehill's notable alumni includes former Yahoo CEO Scott Thompson, Educator Michael DeSisto, and Boston Red Sox General Manager James "Lou" Gorman. Located in Beverly, Massachusetts, Endicott College features a 235-acre oceanfront campus that is 20 miles north of Boston. Aside from its beautiful location, it is considered one of the best colleges in Massachusetts. The college also offers several online degrees, and a 14:1 student-to-faculty ratio provides students with one-on-one support throughout the course of the program. Ninety percent of graduates gain employment in careers related to their major. Endicott is the only college that requires every student in every major to complete an internship, providing them with hands-on experience in their field. Online programs are available for both undergraduate and graduate students. Undergraduate programs are available in majors such as business management, criminal justice, liberal studies, and integrated studies for students with more than one area of interest. Many programs offer students the opportunity to choose a concentration that matches their career goals and personal interests. Featuring a scenic waterfront campus in Boston, Massachusetts, the University of Massachusetts is one of the best colleges in Massachusetts with many options for students to pursue online courses and programs. The university is next to the Presidential Museum and the John F. Kennedy Library, providing local learners with the chance to embrace history and culture during their education. UMass Boston features more than 100 student organizations including NCAA Division III sports teams, an art gallery, a radio station, newspaper, literary magazines, and clubs. Online students have access to all on-campus organizations and resources. UMass Boston offers many undergraduate courses online, including an RN to BSN program, along with several online master's programs in areas such as mental health counseling, rehabilitation counseling, and history. Online courses are taught by the same instructors who teach on-campus courses. Ninety-three percent of instructors hold the highest degree in their fields, providing experienced and esteemed educators to guide students. Berklee is a preeminent college of music and the performing arts that nurtures the creative talents of artists in Boston and Valencia, Spain, through a variety of baccalaureate and master's programs. At Berklee, students hone their performance skills in music, theater, film, dance and academic interest in areas such as business, technology, and education. The bachelor of music in professional music program melds the liberal arts with concentration areas such as acoustics, conducting, jazz composition, and songwriting. Students planning to pursue business careers in entertainment can enroll in the bachelor of music in music business/management program. This degree includes courses on topics like financial, legal, artistic, and ethical issues in the music industry from the perspective of the musician. There is also a BFA in dance program that helps students develop into cutting-edge performers as they learn from faculty and guest artists with a prodigious breadth of knowledge and dance experience. Berklee is one of the top schools in Massachusetts for creative prodigies and boasts many faculty and alumni who have received Grammy, Oscar, Tony, and Emmy awards. Massachusetts awards fewer associate degrees than the U.S. average. Taking steps to increase graduation rates, Massachusetts recently joined the Complete College America Alliance, which works to close degree attainment gaps. Focusing in on Science, Technology, Engineering and Math (STEM) programs, Massachusetts was awarded a significant grant from Complete College America to increase the number of college students in these areas. The state also offers the MassTransfer program, which allows community college students who complete associate degrees to receive full transfer of credit, guaranteed admission, and tuition discounts when transferring from one Massachusetts public higher institution to another. For those considering Massachusetts two-year schools, following is a list of the best in the state. MCC is one of the largest Massachusetts community colleges in the state, enrolling nearly 13,000 for-credit students annually. The school offers a variety of academic options, and students at MCC can pursue one of more than 50 associate degrees, including programs in studio art, fashion merchandising, environmental health, and computer forensics. MCC offers several International Education Fellowships each year, giving students the opportunity to study abroad in several countries, including Ireland, China, Russia, Costa Rica, Spain, Belize, and Peru. MCC provides students with a variety of academic resources, including media and technology centers, libraries, and tutoring centers. MCC is also dedicated to providing an accessible education to veterans, and each of the school's campuses maintain Veteran's Resource Centers. A private vocational school, NBSS has offered exemplary training in hand craftsmanship for over a century. Established in Boston's North End neighborhood, the school originally served the area's large immigrant population, offering a holistic approach that emphasized both job training and skills for adjusting to life in America. Today, NBSS is one of the most respected vocational colleges in Massachusetts, offering full-time professional programs in eight trades: bookbinding, cabinet and furniture making, carpentry, jewelry making and repair, locksmithing, piano technology, preservation carpentry, and violin making and repair. While the curriculum includes reading, lectures, and discussions, students at NBSS learn mainly by doing, completing hands-on projects of increasing complexity. The college has maintained the same essential teaching approach for over a century, but coursework has been updated to reflect both developments in crafting technology and the perspectives of students, graduates, and professional artisans. Chartered in 1993 by the Action for Boston Community Development, UCB is the only educational institution in the state established by an anti-poverty agency. The college occupies an urban campus in downtown Boston, with a ten-floor building near the city's Theater District. Based on a vision of unique, compassionate, and rigorous education, UCB offers several comprehensive associate degree programs. These include degrees in early childhood education, human services administration, and general studies, along with a range of certificate and continuing education programs. All three programs can be completed within two years of full-time study, though students can take courses at their own pace, with a variety of evening offerings available for working students. UCB prides itself as a multicultural institution, and it is one of the only community colleges in Massachusetts to offer full course-loads in languages other than English. Home to nearly 14,000 students, BHCC is the largest community college in Massachusetts, and the school is also one of the most affordable. In addition to its two main campuses in Boston's Charlestown and Chelsea neighborhoods, the college also operates three satellite locations and three instructional centers throughout the region. The student body at BHCC is among the most diverse of all Massachusetts community colleges, with more than 60% of students identifying as people of color. The school also serves more than 900 international students from 100 different countries from around the globe. BHCC offers more than 60 associate degree programs in the arts and sciences. Operating a main campus in the city of Brockton, MCC was founded in 1966 with the mission of offering affordable, state-supported education to residents of Southeastern Massachusetts. The school serves over 8,000 students annually, making it one of the largest two-year colleges in the state. MCC's main campus occupies 100 acres and features a range of modern facilities, including a TV studio and radio station, a fine arts building with two theaters, an Olympic-sized swimming pool, and a massive library. The school is also home to a range of student organizations, including a Creative Writing Club and the Gender Sexuality Alliance. Students enrolled at the Brockton campus can pursue more than a dozen associate degrees, including innovative programs in respiratory care and fire science technology. The school's satellite campuses in Canton and Middleborough offer other specialized degree options, including telecommunications, veterinary technology, and diesel technology. A comprehensive community college in the Roxbury neighborhood of Boston, RCC is dedicated to open access education for a diverse community of students. The school was founded in 1973 with a mission of educational excellence, respect, accountability, and inclusiveness. RCC's 16-acre campus is home to a range of academic and recreational resources, including a comprehensive library and learning center, specialized labs for science and computing, a media arts center, and a track and athletic center. One of the best two-year colleges in Massachusetts, RCC offers several associate degrees in both arts and sciences, including broadcast media technology, musical arts, web technology, and radiologic technology. For students interested in transferring their credits to a four-year school, RCC offers academic assistance for a seamless transfer process, including individual and group counseling, four-year colleges fairs, scholarship opportunities, and a waiver for application fees. MBCC is a widely respected two-year institution, and Washington Monthly calls MBCC of one the 20 best schools in the country for adult learners. Offering comprehensive associate degree programs in business and professional studies; health sciences; humanities; social sciences; and science, engineering, technology and mathematics, the college provides more than 40 academic programs. MBCC also maintains several partnerships with other academic and professional organizations. The school's STEM Mentor Program, for example, connects students with mentors from various science and technology organizations, including biotechnology company Sanofi Genzyme, mathematics computing software firm MathWorks, and the United States Army Corps of Engineers. Another partnership with Framingham State University allows students to earn low cost bachelor's degrees through courses offered through both institutions. Established in 1963 in Worcester, QCC has offered affordable, accessible higher education and job training to Central Massachusetts students for over half a century. The school serves over 13,000 students annually, offering more than 50 associate programs in a variety of subjects, including business, liberal arts, health care, technology, and more. QCC offers both transfer and career degrees, and many professional graduates go on to find work with prominent regional businesses, including Intel, Verizon, and UPS. QCC boasts one of the most active sports programs among Massachusetts community colleges, with men's and women's intercollegiate teams in baseball, softball, basketball, and more. The school's men's baseball program has been nationally ranked, and multiple ball players have been drafted directly out of QCC. Other notable alumni include Massachusetts Congressman John Binienda and Massachusetts State Senator Michael O. Moore. Operating campuses in Danvers, Lynn, and Middleton, NSCC is a top community college in the North Shore coastal region, serving around 10,000 for-credit students annually. The college was founded in 1965, making NSCC one of the oldest community colleges in Massachusetts. NSCC is a proponent of civic learning, and helps students develop the skills, values, knowledge, and competencies necessary for effective participation in democracy and civic life. The college offers dozens of associate degrees for both professional training and credit transfers, including programs in aviation management, drug and alcohol rehabilitation, environmental horticulture, and occupational therapy. Ninety-six percent of graduates are able to find employment within three months of graduation. With five campus locations, BCC is one of the largest two-year colleges in Massachusetts, home to more than 11,000 for-credit students annually. The college offers a range of associate degree programs in several areas of study, including both career preparation degrees and transfer programs. Students can take courses in art, business administration, culinary arts, hospitality management, life sciences, and more. BCC maintains transfer arrangements with several New England colleges, allowing students to easily transfer their credits as they pursue a four-year degree. The school also holds a partnership with Eastern Nazarene College that allows students to earn a bachelor's in management from ENC while taking classes on BCC's campus. Many BCC graduates eventually transfer to other prestigious New England universities. Two of the college's notable alumni are Massachusetts Congressman David B. Sullivan and Jewish theologian William E. Kaufman. With only 2,000 students, GCC is the smallest community college in Massachusetts, and the school offers students an intimate experience in a small-town atmosphere. Founded in 1962, the college features a small campus in the town of Greenville, located in Massachusetts' historic Pioneer Valley. GCC offers more than 30 associate degrees in the arts and sciences, spanning business, education, health and helping professions, humanities, social sciences, and more. More than 20 of GCC's associate degrees are eligible for the state's MassTransfer program, which allows students to easily transfer their credits to four-year colleges throughout the state. The school offers extensive transfer counseling for students, including major and career exploration, help with applications, scholarship opportunities, and transcript review. Many students transfer to the University of Massachusetts, but GCC has sent students to prestigious colleges all over New England. Serving nearly 30 towns and cities in North Central Massachusetts, MWCC operates a 269-acre main campus in Gardner along with satellite education centers in Devens, Fitchburg, and Leominster. Home to over 10,000 students, the school offers more than 40 associate degree programs, including audio engineering, video and film, automotive technology, and Earth systems. For adult students, MWCC's Educational Opportunity Center provides free academic, career, and financial aid counseling, which helps students navigate the challenges of college enrollment. MWCC also maintains a respected community theater program, which has launched more than 280 productions since the program's inception. The school's main campus is home to the 515-seat Theater at the Mount (TAM), where most productions take place. Many of the MWCC's plays and musicals have received regional acclaim, and the TAM is celebrated as the area's premier community theater. Founded in 1961, Cape Cod Community College serves residents throughout several areas in Massachusetts, including Cape Cod, Martha's Vineyard, and the Canal Region. As the only comprehensive college on Cape Cod, CCCC offers 64 associate degrees and advanced degrees through partnerships with senior colleges in the state. The associate in arts degree transfers to baccalaureate programs, and other degrees are offered in areas such as education, human services, general studies, graphic design, and health sciences. A number of associate in science degrees prepare graduates for the workforce in fields like criminal justice, dental hygiene, information technology, and engineering technology and advanced manufacturing. CCCC stands as one of the top community colleges in Massachusetts, in part because of advanced degrees such as the bachelor of science in nursing that is delivered in partnership with the University of Massachusetts. Serving the south shore in Massachusetts, Quincy College administers an expanding catalog of degrees on campuses in Quincy and Plymouth. The school's 37 associate degrees can be earned in fields as diverse as accounting, biology, engineering technology, paralegal studies, and criminal justice. One of the top community colleges in Massachusetts, QC offers two-year degree plans in exercise science and personal training, financial planning and services, and planning fundraising and special events for nonprofits. Students in the associate in arts in fine arts can select from three degree plans: drama, music, or visual arts. Students interested in the healthcare field can earn associate degrees in healthcare administration, medical laboratory technician, practical nursing, or surgical technology. The school also offers an LPN to RN nursing program. Tutors and student success coaches support students from the moment they enroll. Founded in 1960, BCC is one of the oldest community colleges in Massachusetts, and the school serves around 3,000 students from its main campus in Pittsfield. Today, Berkshire maintains multiple campus locations around Pittsfield, along with an education center in Great Barrington. BCC offers 36 associate programs in allied health, computer information systems, engineering technology, hospitality, and liberal arts. Students are eligible to earn a second associate degree if they complete 15 hours of additional coursework beyond their first degree, along with all required courses for the second. The college emphasizes service learning, and students at BCC can get hands-on experience and academic credit through different community and career service projects. The school's service learning programs often lead to networking opportunities, internships, and even job offers. If you're thinking about applying to one of the best colleges in Massachusetts, continuing reading to learn more about living in the Bay State. Accounting for only 10,554 miles of the nation's square feet, what Massachusetts lacks in size, it makes up for in stature. The state boasts the highest concentration of college students in the country. The Commonwealth draws these students and others with myriad historical, coastal, and educational attractions. Brimming with history, Massachusetts includes several hubs of activity. Boston offers the Freedom Trail, Boston Commons, and exceptional public libraries and museums. Cape Cod lures those seeking beautiful beaches and scenic ocean views. Salem and Plymouth each offer unique historical experiences. Western Massachusetts features the beautiful Berkshire Mountains and the Connecticut River Valley. The state's appeal is not without cost. The overall cost of living index is significantly higher than much of the U.S. – from 32% to 53% higher, depending on the area. Boston's index is around 44% higher than the nationwide average. However, the many attractions of this “Bay State” are outweighing the cost for many. Over 140,000 people moved to Massachusetts from other states in 2012 alone. While a majority of the Massachusetts population is centered in the Boston area, the state boasts several fairly distinct regions. Following is an overview of each of these areas. In-state tuition rates make a significant impact on the cost of education. To qualify, students are required to establish residency in Massachusetts. Though varying by school, requirements typically expect students to demonstrate intent to reside in Massachusetts for reasons other than schooling alone. Minors living with parents who have established residency in Massachusetts are considered in-state for tuition purposes. Proof may be required of residency with the parent. The parents typically must have resided in Massachusetts for a minimum of twelve months before the student begins school. However, requirements do vary by school. As you weigh the cost of various institutions, be sure to find out specific guidelines to establish residency for each school.